I'm sure many of you remember that I got my sweet ball of sunshine, Owen, a year ago. We found him through PuppyLoveME. They are wonderful people in Southern Maine that rescue dogs from Louisiana. 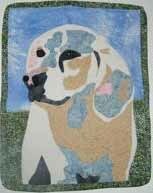 In gratitude to them for all they do and have done for me, I donated a pet portrait for their annual auction. 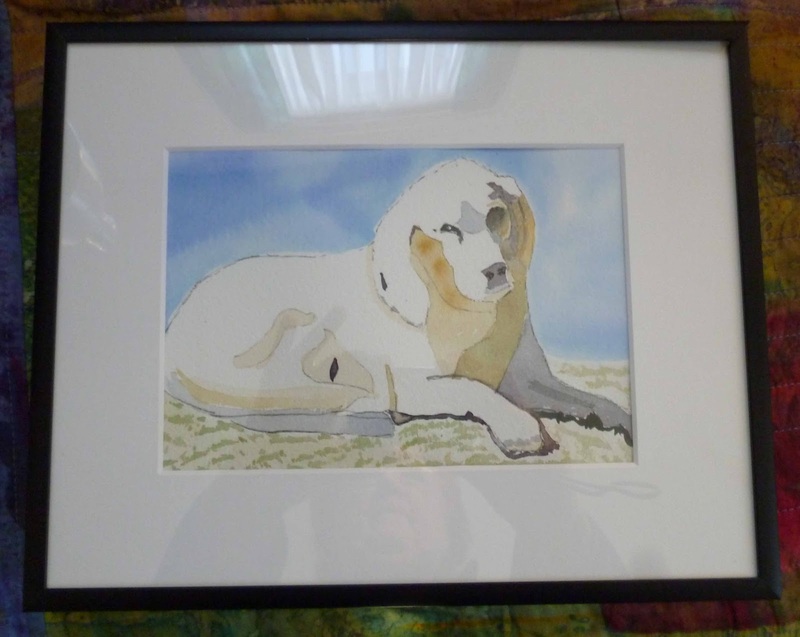 A lovely woman from coastal Maine won the auction and I made two portraits of her wonderful dog Daisy. Daisy is a 16 year old beagle. She is so old, she has lost all her color. I was sent puppy and young adult photos of Daisy and she did have the traditional marking of a beagle. They have faded to white with age. It was a privilege to make these portraits and I thought you might enjoy them too. How lovely! And what a wonderful idea, to capture a loving pet in a portrait... 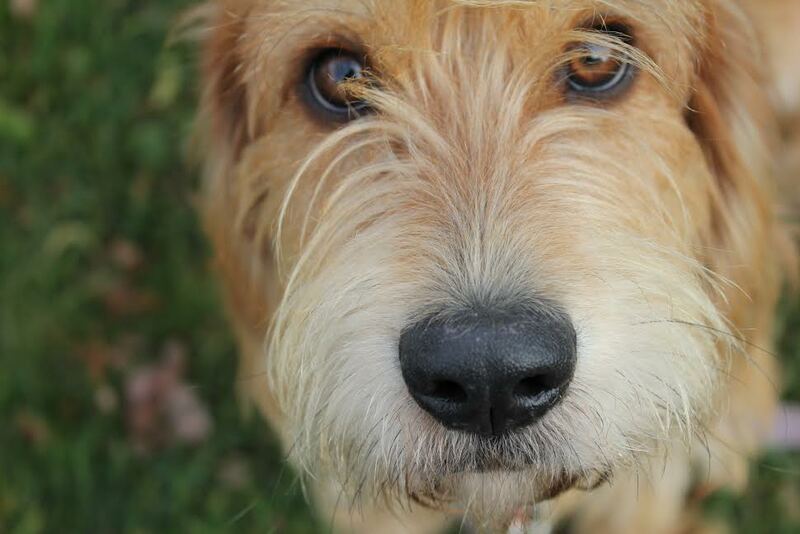 I'm sure Daisy's owner will treasure them! Hi Sweet Owen! You have bevome an artist's model! You couldn't have described Owen, any better. He is a sweet ball of sunshine. Your portraits of Daisy are wonderful. Will Owen be inspiring any new art? 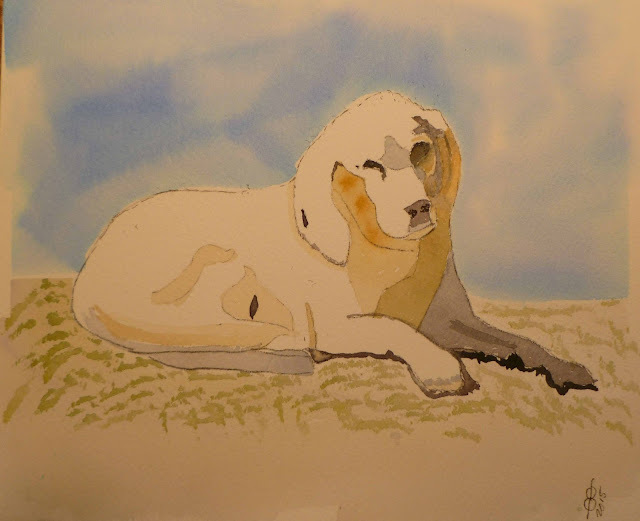 Lovely portrets of Daisy ! How nice of you to make such a portrait. Owen looks very cute!